According to the Economist, global credit card fraud losses totaled more than $10 billion in 2014. This is more than 3 times greater than the credit card fraud losses in 2003. Indeed, credit card fraud is so pervasive that a study found that more than 40% of American households have been affected by the crime. There have been some steps among merchants, card issuers, and banks to increase security and improve fraud detection. 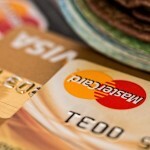 However, these improvements have not been able to curb the growth in credit card fraud. Given the shift to online shopping and the continuing sophistication of criminal groups, credit card fraud is likely to increase over the coming years. As such, IMG Group, a leading corporate risk assessment firm, is continuing to monitor this disturbing, yet growing, trend. Practice IT Security Basics: Perhaps the biggest way to avoid credit card fraud is to use basic security practices when online. In 2014, 45% of credit card fraud was committed online. To protect themselves from identity theft, consumers should use strong passwords, purchase security software, and avoid financial transactions on public hotspots. Additionally, consumers should understand how to spot and avoid email phishing scams. Utilize New Technology: Consumers should also try to take advantage of new payments technology that can increase security. Many credit card issuers are starting to provide cards with EMV chips that offer an additional layer of protection. Some technologies, such as Apple Pay and Samsung Pay, can offer even more secure methods of transacting that utilize one-time use tokens. Monitor Transactions: Credit card users should also monitor their transactions regularly. Some companies have made this easier with smartphone apps and automated alerts. These features make it easier for consumers to quickly alert their card issuer if they notice any irregularities and / or potential credit card fraud. Know How to Spot and Avoid Skimmers: ATM skimmers are small devices placed over or inside the credit card slot on ATM machines. Skimmers are more common on outdoor ATMs and can be detected by looking for discoloration on the ATMs components or gently wiggling the face of the card slot. Shred Documents and Protect Information: Although a large share of credit card fraud occurs online, consumers should still safeguard their paper documents. All financial documents, even unsolicited offers, should be shredded. Additionally, some individuals should consider going paperless in order to avoid the threat of financial information being intercepted in the mail. IMG, a leading corporate risk assessment firm, has extensive experience in international threat assessment, crisis management consulting and more. To learn more about the solutions offered by IMG, please visit: http://www.theimg.com. The IMG Group is a leading corporate risk assessment firm. Corporate or business organizations concerned about their need for security management expertise can reach out to the IMG Group for assistance. IMG’s expert security consultants provide services such as employee travel security, corporate VIP security, international threat assessment, workplace violence consulting, supply chain security, crisis management consulting, and more.